Much like a football team, every individual’s contribution is crucial to the success of your party before or during the game. 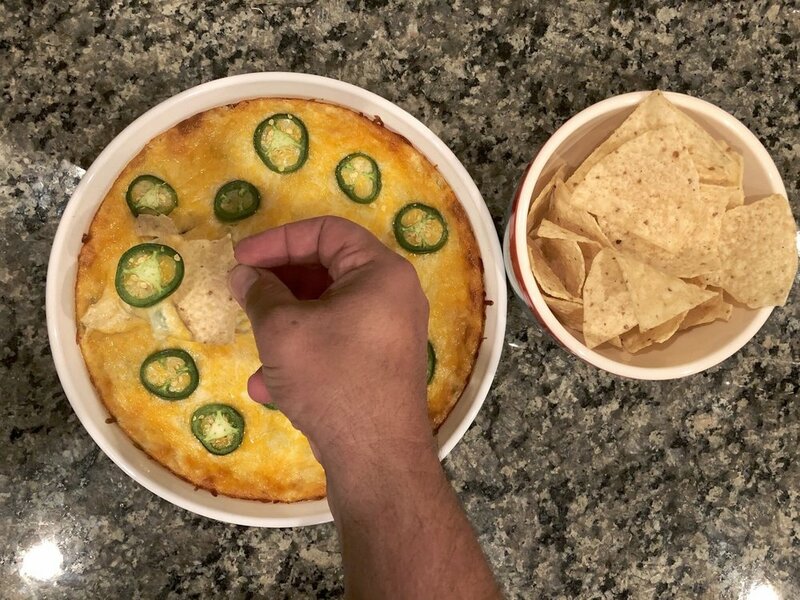 You could always put in the time to smoke meat for hours or labor over some other elaborate dish, but we’ve got a simple dip recipe that will delight everybody and make you a hero around your house or under the tailgate tent. Seed and dice 2 of the jalapenos. Slice the remaining one jalapeno into thin rounds, set aside. In a bowl, beat cream cheese, mayo, and garlic powder with an electric mixer on low until fluffy. Add 2 cups of the shredded Mexican cheese blend, diced green chilies, and the diced jalapenos, mix. Transfer mixture into a cast iron skillet or baking dish and spread evenly with a spatula. Top with the remaining 1/2 cup shredded cheese and the sliced jalapenos rounds. Bake at 375 F for about 15 to 20 minutes or until hot and bubbly. Trying out this recipe for the next game? We’d love to see how it turns out. Tag us @kirklands with a photo from your tailgate!